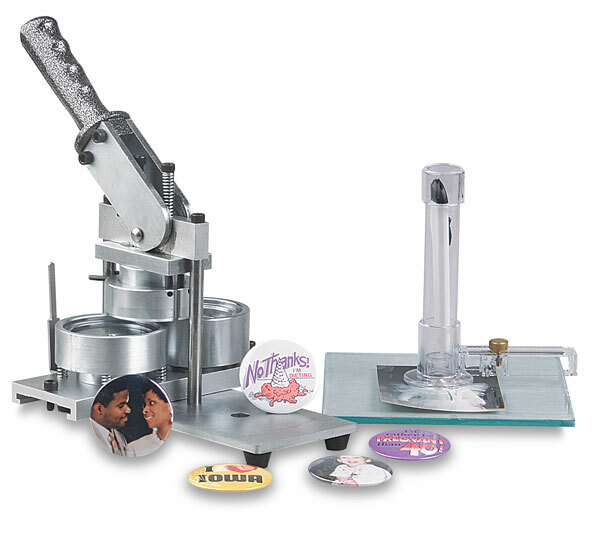 This durable heavy-duty button machine is intended for large volume button users. Button making has never been easier. The Neil Metal Button Machine comes with enough materials to make 100 buttons, a Creativity Cutter, and a cutting base. Finished buttons are 2¼" (5.7 cm) round. Additional button parts are available upon request.